You are not logged in. 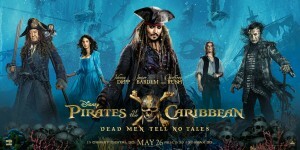 [Log In] Superiorpics Celebrity Forums » Forums » Celebrity Pictures » Actresses G-K » Kaya Scodelario - ''Pirates of the Caribbean: "Dead Men Tell No Tales" Movie Poster And Stills (UHQ). 64 registered (Andrea_Ita_84, daleh33, aroundthefur1, Dax, buho, antichrist, Alpha, ACFerreira, chimp69, dahmeer, demosthenes, 7453297, ciolek666, admjg, 18 invisible), 614 Guests and 5 Spiders online. #5150755 - 05/22/17 07:39 PM Kaya Scodelario - ''Pirates of the Caribbean: "Dead Men Tell No Tales" Movie Poster And Stills (UHQ). Kaya Scodelario - ''Pirates of the Caribbean: "Dead Men Tell No Tales" Premiere Hollywood May 18th 2017.